Click HERE for our BLOG: Event Info, New Items, Recipes, and more! SUPER PASTA, SALAD, & SOUP RECIPES! Check out our new recipe board with quick and easy pasta recipes, plus other favorites! ARTISTS OF THE MONTH! We always have original, unique artwork for sale at our store! CITY KITCHEN EVENTS: Next door to our shop. There’s always something interesting cooking here! Demos, classes, and more. 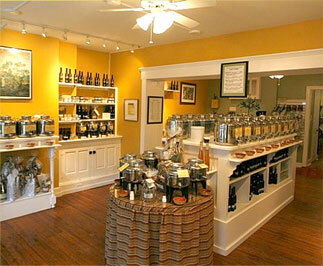 Taste and savor our extensive selection of gourmet olive oils and balsamic vinegars. Choose from the finest and freshest extra virgin olive oils, specialty oils, infused and organic oils from around the world. Enjoy our barrel-aged white and dark balsamic vinegars, both flavored and traditional styles. We also carry gourmet foods and a wide selection of inspiring recipes and beautiful hand-made gifts. For the novice cook to the seasoned chef, there’s something for everyone at The Tubby Olive! Look for more delicious Tubby Olive recipes by clicking on our RECIPE tab.